Note that the Film Incentive British Columbia tax credit (the “Canadian content” credit) will not be altered by the changes. The changes will become effective on September 30, 2016, thereby allowing a significant transition period. 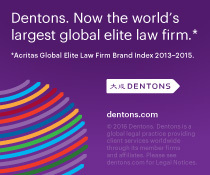 For a full run-down of the specifics of the announced changes, see this detailed Dentons client alert. The 2013 Academy Awards were something of a coming-out party for crowdfunded films: three crowdfunded films were nominated for awards. One of those films, Buzkashi Boys, has a Canadian connection: Montreal artists get a financial kick out of crowd funding. And one of those films, Inocente, won the Oscar for Best Documentary Short. So we have evidence that crowdfunded films can be both commercially and critically viable projects. In a new-to-me publication (actually released in August 2012), the Canada Media Fund commissioned Nordicity to create an excellent report entitled Crowdfunding in a Canadian Context: Exploring the Potential of Crowdfunding in the Creative Content Industries. Packed with information (who knew there were more than ten Canadian crowdfunding platforms? ), market trends and food for thought, the CMF/Nordicity is an invaluable resource for surveying the Canadian crowdfunding landscape. One innovation which has attempted to harness the power of the internet and social media to solve these problems is “crowdfunding”. (For a nice backgrounder on crowdfunding, see Nathan Monk’s “Crowdfunding: Is it Right for Your Start-up?”.) Prominent examples of crowdfunding websites include Kickstarter (which bills itself as a “funding platform for creative projects”) and Indiegogo. To avoid securities law concerns, crowdfunding sites often operate on a donation/reward model: creators set different donation levels of increasing monetary value which are coupled with increasingly valuable/desirable “rewards” matched to the donation levels. So, for example, if we were interested in crowdfunding the recording of an epic spoken-word rendition of all of the posts here on the Signal, we might say that if you contributed $20 you would get a copy of the entire set of DVDs, for $40 you would get the DVDs plus a signed and personalized poster of our entertainment law group (actually more valuable than you’d think), for $100 you’d get to come hang out in the recording studio while we did the recording and for $1,000 we would re-name the blog in your honour. There are some Canadian crowdfunding platforms out there: the nice folks at the Hot Docs festival run Doc Ignite, which describes itself as “a crowd-funding site for Canadian documentary works-in-progress”. The FAQ will answer everything you could want to know about crowdfunding in general and how Doc Ignite in particular work. At the time of writing of this post, the current Doc Ignite project is called “The Secret Trial 5”, they’re looking to raise $15,000, they’ve received $7,725 from 57 supporters and they offer rewards ranging from, among other rewards, attendance at a sneak peek screening of the completed film (at the $25 level) to, among other rewards, on-screen credits, attendance at editing sessions and the chance to vote on creative decisions (at the $500 level). Of course, while interesting and fun in their own right, the need for entertainment projects seeking crowdfunding to shoe-horn their efforts into the donation/reward model can be unduly limiting: not all projects will be suitable for that model, and not all creators will want to avail themselves or their projects in a way which matches the expectations of the “reward” model. Since the “problem” with using crowdfunding to raise money in exchange for an “ownership” interest in the project (such ownership usually taking the form of participation in the “back-end” profits) is that it might trigger securities law obligations, what about modifying securities laws so that they facilitate (or at least don’t impede) crowdfunding? In the United States, the JOBS Act (Jumpstart Our Business Startups Act) was enacted in April 2012, and it will modify existing securities laws to allow equity-based crowdfunding for up to $1,000,000 – in other words, rather than forcing crowdfunders to rely on the donation/reward model in order to avoid securities law entanglements, crowdfunders will be able to offer equity positions in the potential success of their creative projects. (For further details on how the JOBS Act changes will operate, with particular reference to entertainment industry projects, see the posts of Mark Litwak (and again) and Ronald L. Barabas. This would be a significant change to Ontario securities law, with potentially wide-ranging impact for entertainment entrepreneurs. The OSC is seeking public feedback by February 12, 2013 – details on where to submit comments can be found on page 44 of the Consultation Paper. Edward Jay Epstein, author of such much-reads as The Big Picture: Money and Power in Hollywood and the upcoming The Hollywood Economist: The Hidden Financial Reality Behind the Movies, has written a great post which offers one of the most lucid explanations I’ve come across regarding how independent films are financed: Why Indie Movies Are An Endangered Species (the post isn’t nearly as gloomy as the title suggests). Epstein writes for a primarily US-based audience, but the information he provides is just as useful for Canadian producers and their advisers. 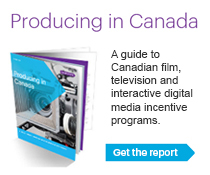 The Ontario Media Development Corporation offers Canadian independent film producers the opportunity to download for free the Canadian Production Finance Handbook (written by Kathy Avrich Johnson), which is an absolute treasure trove of information, including multiple precedent agreements.